All residences south of James Street, including both sides of James Street, Wall Street, all of North and South West Street including the west ends of Hudson, Prospect and Clinton Streets, as well as Burgett, Bedford, Miller, Brentwood, Suits, Stanford, Ferndale, Balmoral Way and Phelps Drive. All residences north of James Street, including Water Street, and all of North and South Main Streets. Please note that holidays can affect the trash pickup schedule due to the County Landfill being closed. Changes are published in the Cortland Standard, announced on WXHC 101.5 FM, and posted on the bulletin board on the homepage of this website. Trash is defined as anything that is generated normally within a household during a week’s time. This does not include items such as: white goods, TVs, computers, small appliances, carpeting, building supplies, furniture, large tree limbs, tires, tire rims, or garden materials other than apples or corn husks. Items not included for pickup must be privately contracted through a local hauler. 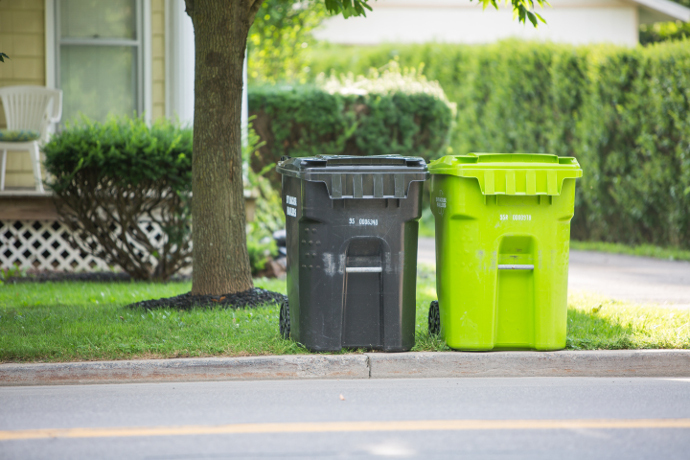 Recyclables should be placed curbside, or in an area that has been cleared near the street, curb, or driveway, by 7:00 am on your scheduled pickup day. Recyclables should be placed in a container that can be easily dumped, i.e. a laundry basket, crate, or any container that is not or doesn’t resemble a trashcan or garbage pail. Try to avoid white containers, as they are hard to see in the snow. Recyclables should be set out for collection on a weekly basis. 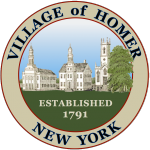 Effective March 1st, 2014 commercial residents can have their trash removed at their own expense by the Village of Homer’s current trash hauler. Income rental properties exceeding two units are considered commercial residents for the purpose of this municipal service. Trash and recyclables pickup is for village residents only. Imported items are not allowed and could subject a guilty party to prosecution.